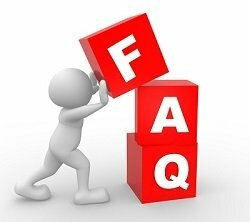 FAQ - Peerless Electronics Inc.
1. Will I be able to access my old account information? a. No, when the website is cut over all previously existing account information will no longer be available and you will have to register a new account. b. Any order that was placed as of 1pm on 10/25/17 and is in stock will be shipped out. Any order that is in backorder status will ship out when the product is made available. c. Any order that is placed on 10/26-10/27 may be subject to a short delay in shipping while we adjust to some of the backend processes for this new platform. 2. What will my login be on the new site? a. Your login will be the email address you use to register your account. Please don’t create multiple logins for the same person. Our system will only allow you to register one time with the same email address. 3. Can I check out as a Guest? a. Yes, we offer the ability to check out as a guest on the new website, but we strongly encourage you to register. It’s really easy to do during the checkout process. 4. Does Peerless store any of my credit card information? a. No, all credit card information entered and saved resides outside of the Peerless network and is secured with industry standard encryption and hashtags. 5. Is the Peerless Website SSL Compliant? a. Yes, our website contains the latest SSL certificates to remain compliant with industry standards. 6. If I register for an account will I be bombarded with advertising campaign emails? a. No, Peerless does not send out marketing campaigns via email. Peerless respects the privacy of our customers and we will never share your information with anyone. Should Peerless ever decide to conduct email campaigns you will always be offered the ability to opt-out. 7. Your old website made me submit a tax exemption form for every order and charged me tax upfront on every order. Will this be fixed with your new site? a. Yes!! We are excited to announce that with our new site, if you register as a user you will only have to submit your tax exemption form one time and every order will remain tax exempt going forward. 8. How do I submit a tax exemption form? a. On our website in the navigation bar click Policies/Tax Exemption Certificates. There is a form that you must fill out. In addition, you will be required to upload your tax-exempt form. (PDF only). Once this form is submitted our credit department will review and apply to your registered account. 9. If I check out as a guest and I am tax exempt, will I be able to submit a tax-exempt form and not be charged tax? a. Yes, however every time you check out as a guest you will need to submit your form and enter the appropriate information in the TAX/VAT field. We encourage you to register so you only have to submit this one time. To submit a tax-exempt request, simply add your TAX/VAT number during the check-out process. Then click on the navigation bar under Policies/Tax Exemption Certificates, fill out the form and submit your tax-exemption form. Make sure you reference your order number in the form. Failure to submit your form will result in a charge to your order for taxes. 10. Will I be able to ship using my own account? a. No, we do not allow this option. Sorry. 11. Is there a minimum check out on your website? a. Yes, there is a $30.00 product minimum for our website. This means that your product subtotal must be greater than $30.00 in order to check out from our store. 12. If I ordered something off your old website will I be able to return it? a. Yes, contact 516-594-3500 to request an authorization for a return. 13. What shipping methods does Peerless offer? a. Currently, UPS is the only method of shipment for our website. We cannot use any other carriers for shipping at this time. UPS does not ship to PO BOX addresses. 14. If I need to submit a question about sales, credit, quality, tax exemption, or website issues how can I do this? a. On the Contact Us page there is a form that you can use to submit your question. Select a purpose and fill out the information on the form. These forms will route your question to the appropriate personnel.